If you play a brass instrument at Grade 1 standard or above and would like to play in a large band with other young musicians from across Lewisham then come and join Lewisham Schools Brass Band. Playing music from a wide range of genres, Lewisham Schools Brass Band is a great experience for a developing young musician. 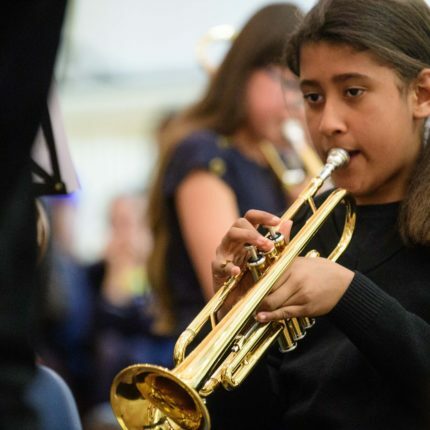 Not only does playing in the band improve music making, but it is also a rich learning environment for other personal and social skills including working and mixing with other children and young people from different schools and communities. Lewisham Schools Brass Band also regularly performs throughout London at various events and festivals.